I’ve now worked in IT for over 30 years, a thought that fills me with a combination of both pride and growing horror. After migrating to Canberra, Australia from my native England in 1982, I obtained a Bachelor of Arts degree in Computing Studies in 1986. In 1985 while still studying, I was employed in my first IT position as a humble Cobol Programmer with the Australian Public Service. What was initially planned to be a temporary move slowly evolved into a mini career as I moved to various Public Service IT departments, working mainly in IBM shops, first with hierarchical IMS and later with relational DB2. I worked in various different roles, including Programming, Project Management, Data Modeling, Database Design, finally specialising in Application Tuning and Technical Training. In late 1996, I made the decision to leave the “comfort” of the public service and join the “commercial monster” that was Oracle Corporation, as a DBA Specialist and Technical Trainer, based in the local Canberra office. In my first year with Oracle, I both learnt and taught many of the common “myths” surrounding Oracle that were popular at the time. However, I eventually became suspicious that much of what I learnt was actually not quite correct and spent the following years relearning many aspects of the Oracle database, reading more specifically and researching for myself how Oracle actually behaved. Thus began my search for the technical truth and my quest to expose and dispel the myths that surround the Oracle database. In 2002 I left Oracle Corporation to become an independent consultant. I worked at various Oracle sites in the Canberra region helping to diagnose and resolve numerous performance issues. For one specific client, I managed to improve overall database performance to the point of delaying a planned hardware upgrade until the hardware reached end-of-life. During this time, I began a stint as President of the Australian Capital Territory Oracle User Group (ACTOUG) where I presented regularly, including a certain presentation called “Oracle Indexes: Rebuilding The Truth” which is just as relevant today as when I first presented it and which has followed me around ever since. 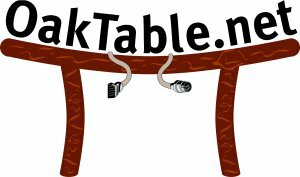 In 2002, I also became a member of the Oracle OakTable Network, a group of like-minded Oracle experts I really respect and admire. In 2005 I became permanently employed by the Australian Government as a DBA specialist, supporting mission critical, large scale Oracle databases. I could also be found contributing regularly on various Oracle related newsgroups and forums, where I exposed and highlighted these Oracle myths whenever they appeared. They still do appear from time to time but I believe that slowly but surely, the battle is finally being won. In 2008, I was appointed an Oracle ACE Director by Oracle Corporation. I also presented a 2 day in-depth Oracle Index Internals and Best Practices Seminar, which covers most things to do with most Oracle index structures; how they’re implemented by Oracle, how they should be maintained, how they should (and should not) be used, how the CBO uses and evaluates indexes, etc. etc. much of which is very poorly or not at all documented. The seminar has proven to be extremely successful and has been presented in some 18 countries over the years. I’m a popular speaker and regularly present at user group functions and international conferences including Oracle OpenWorld, IOUG Collaborate, Hotsos Symposium, AUSOUG InSync, ODTUG Kscope, UKOUG Tech Conference and the E4 Enkitec Extreme Exadata Expo. Accolades over the years include special recognition for the highly innovative “Good DBA, Bad DBA” co-presentation at Oracle OpenWorld in Brisbane in 1999, Best Oracle Speaker and Best New Oracle Speaker at UKOUG Tech14 and Best 3 presentations at the Hotsos Symposium in 2017. 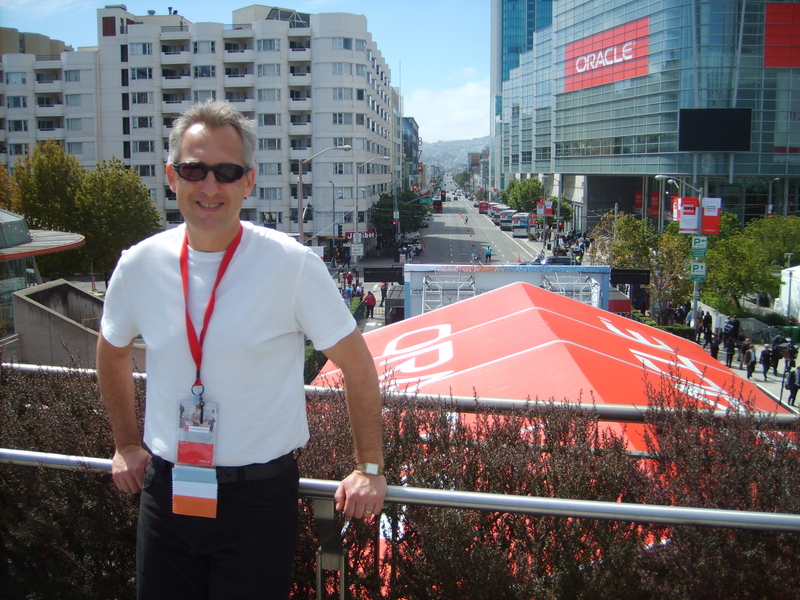 In 2011, I returned back to Oracle Corporation (with Oracle ACE Employee status), this time as a Principal Solutions Consultant, focusing on Oracle’s Database technologies. During this time, I assisted numerous customers throughout Australia in diagnosing and resolving complex database performance issues. I also initiated and presented the very successful “Let’s Talk Database” program within the ANZ region. In 2017, I was very proudly awarded the “Best Solutions Consultant Award” across all lines of business in the ANZ region. In 2017, I left Oracle Corporation to start my own business, Richard Foote Consulting Pty Ltd. I now again run my highly successful Oracle Indexing Internals and Best Practices Seminar and assist Oracle customers in activities such as diagnosing and resolving database performance issues, database tuning , database health checks, on-the-job DBA training, etc. While listening to music, I might also be having fun and trying my hand with my weird idea of Art. I also love to read, especially Fantasy/ Sci-Fi books by authors such a Tolkien, Robin Hobb, George R. R. Martin, Stephen Donaldson, Peter F. Hamilton, Isaac Asimov, H.G. Wells, Julian May, Sara Douglass, Robert Jordan, J.V. Jones, Terry Brooks, Raymond E. Feist, L.E. Modesitt Jr, Stephen King to name a few. I also have around 80 books on the music and life of David Bowie !! And yes, after all these years, I still live in sunny Canberra, Australia. I can be contacted at richard.foote@bigpond.com for any consulting or training enquiries.